Need to Balance your 1099K to Amazon Seller Central Reports? Need to Balance your 1099K to A2X Reports? Amazon provides a wide range of reports in Seller Central and navigating them or just knowing which report to use can sometimes seem like an impossible feat. Furthermore, when it comes to attempts to reconcile back to an Amazon 1099K, it can feel like there is an overload of information available, but none of it really tells you what to do, what to use and how to achieve the end result. In Part 1 of this guide, we will step through an example of the method used to reconcile your Amazon Date Range Transaction Reports and your Amazon Date Range Summary Reports to the Annual 1099K (part 1). For this guide we will reconcile one month only, however, the same principles apply for calculating the complete year. 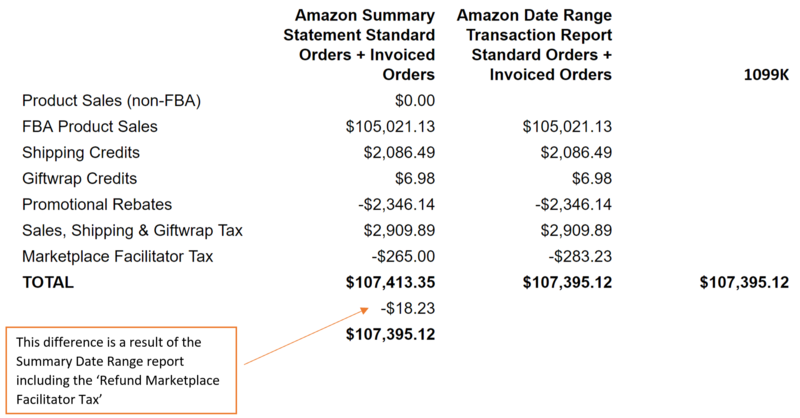 Reconciling your Amazon Date Range Transaction Report or your Amazon Summary Statement to your Amazon 1099K. With the gathered information, you are now ready to commence the reconciliation process. In our example, we are reconciling the month of July. The 'Unadjusted Gross Sales' reported on our sample 1099K report is $107,395.12. We advise using Google Sheets or Excel to create a pivot table based on the date range report data and quickly pick out the required numbers. Or, you can apply a filter on the 'Type' column within the report to filter only the 'Orders' and get the totals of the columns you need. 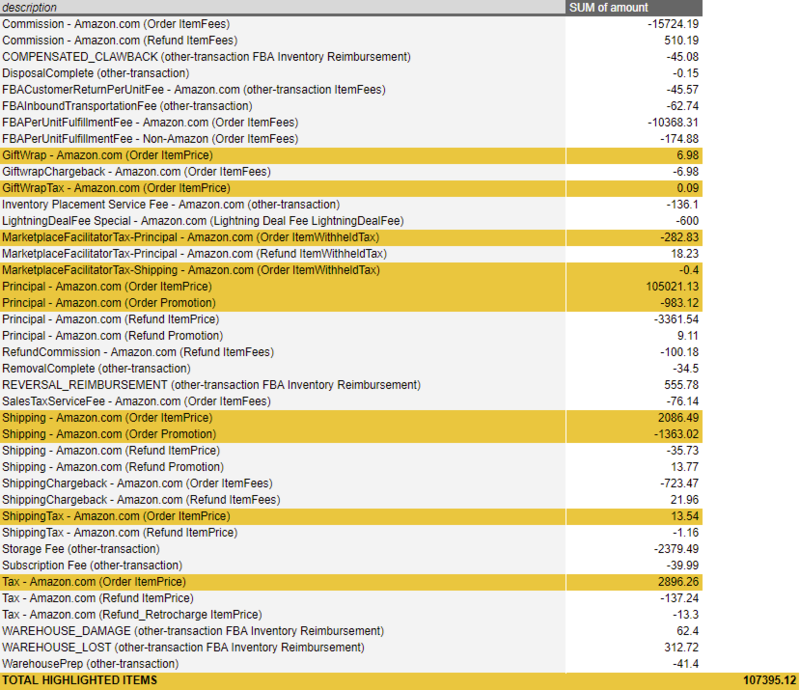 Reconciling your A2X Settlement Reports to your Amazon 1099K. This will download a CSV file to your computer. In the pivot table tab, add 'Description' to the Rows category and add 'Amount' to the Values category (Google Sheets). The same method outlined above can be applied to all months of the year, so you can balance back to the full year Amazon 1099K report. It is common to see a small difference in one month, that is taken up the following month with Amazon reporting, so it is recommended that you complete this procedure for each month of the year, if you wish to ensure the full year balances. 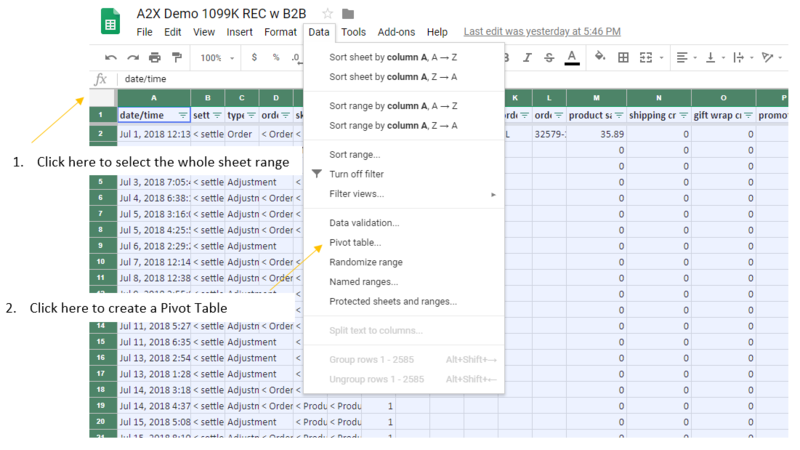 Please speak to our support team, if you wish to attain a sample Google Sheet covering the complete procedures of the example methods described.